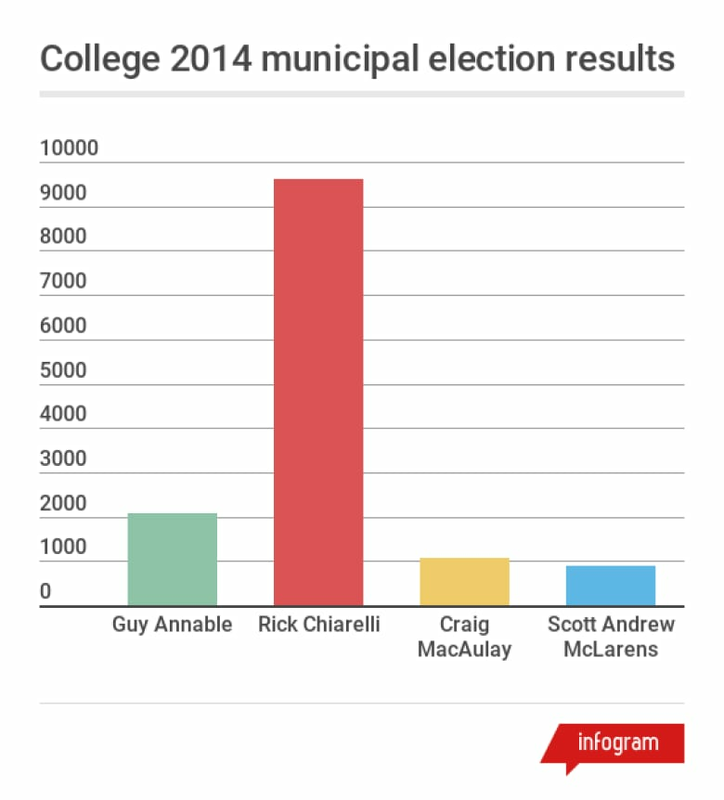 A three-way race is underway in College ward as incumbent Rick Chiarelli faces off against two newcomers. 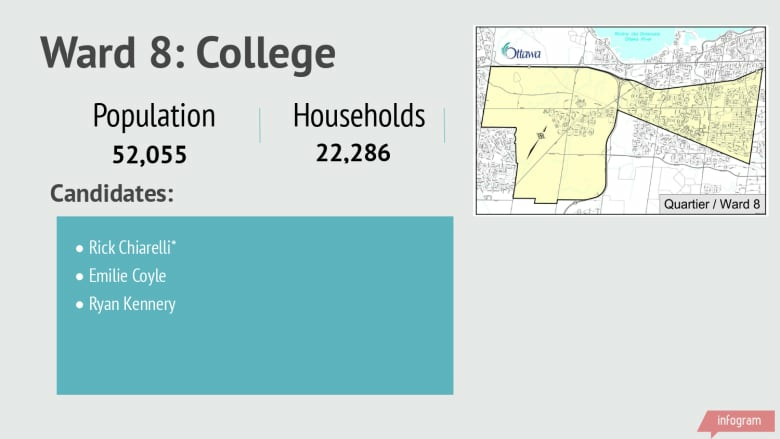 College ward has a population of 52,055 people living in 22,286 homes. Chiarelli will likely be a tough candidate to beat. He won the election in 2014 with 70 per cent of the vote. Kennery worked in the mayor's office for several years and therefore isn't new to politics, but this is the first time he has run for council. Coyle, meanwhile, hasn't spent time working at city hall but has worked primarily for non-profits, owned a business and worked as a lawyer. People in College ward have called for renewal of city facilities and infrastructure for families and seniors, including parks, recreation centres and roads. The area is also feeling the pinch for student housing with Algonquin College located in the heart of the ward. Whoever is elected the next councillor will also have to shepherd the ward through the next phase of LRT construction to Moodie Station and all the transit changes that will accompany the project.